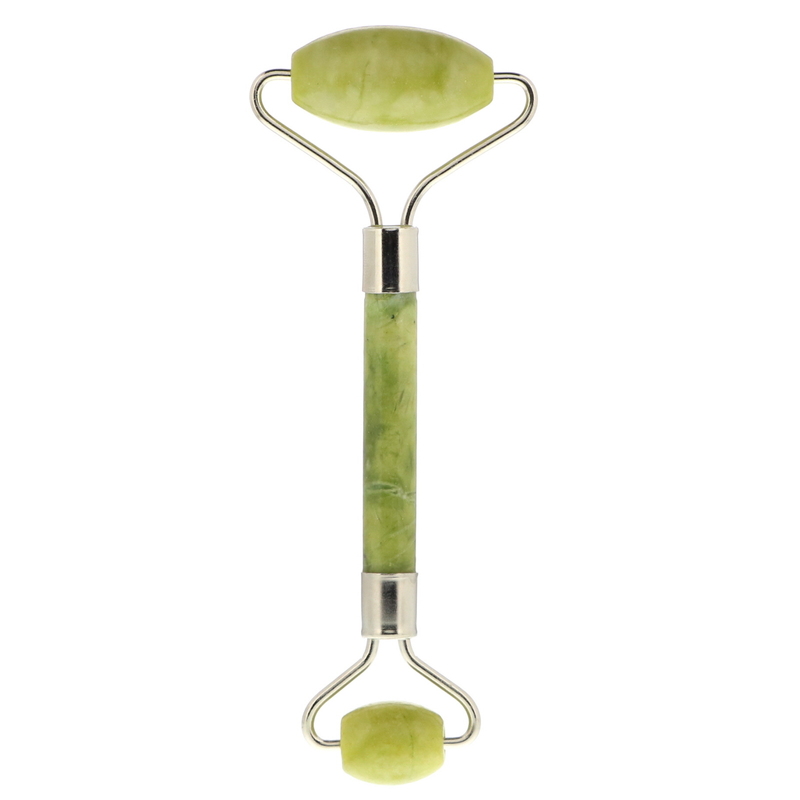 The Jade Facial Roller is a tool that has been a cornerstone in ancient beauty regimens for its incredible ability to reduce fine lines and wrinkles while toning and contouring. 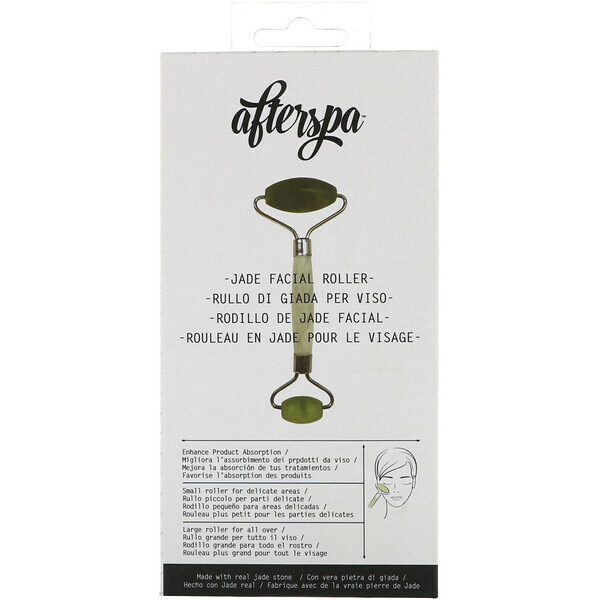 The cooling effect of the Jade Facial Roller will also reduce puffiness and tighten pores. Jade is also known for its healing properties and has been a long time symbol of purification and tranquility. Gently roll your Jade Facial Roller beauty tool over freshly cleansed skin 2-4 times daily for 5-10 minutes. Can be used on clean skin or over serum. Using over a serum or oil will help the product penetrate more deeply into the skin due to the increased blood flow. Color may vary as Jade is a naturally occurring element. A slight squeaking can occur with the friction of the stone on metal, this is normal and often minimal.